On Tuesday, It was Alex’s 19th Birthday so we decided to have a fancy meal out. We decided on going to Marco Pierre White’s Steakhouse in The Cube. For the occasion, I had to buy a new outfit – It’s the law, right? I managed to find this gorgeous dress from the Miss Selfridge concession in Selfridges. It was only £12.50 down from £65! 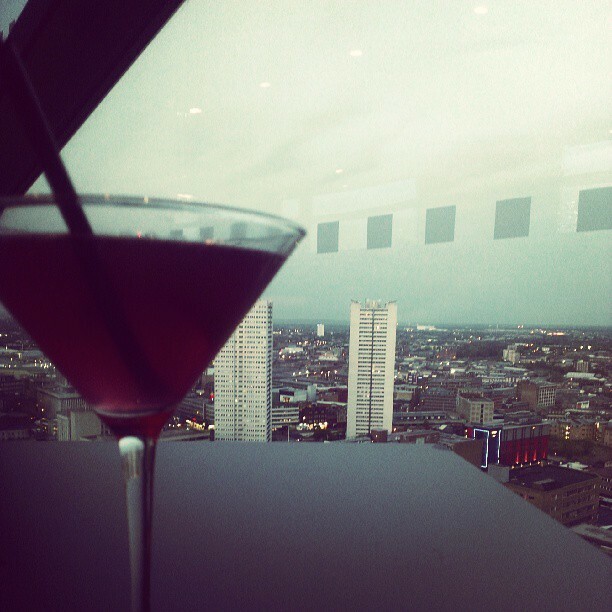 It was our first time at the Marc Pierre White Steakhouse on the 25th floor of The Cube. The restaurant offers panoramic views over the city and also had a Champagne Bar. I decided to go for the Fish and Chips which I really enjoyed and Alex got a steak. 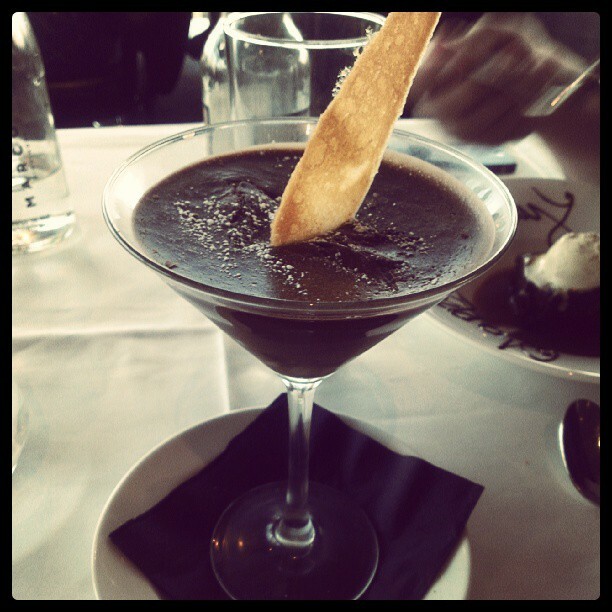 Dessert is always my favourite and I got the Chocolate Mousse which was presented in a Martini glass and was utterly delicious. 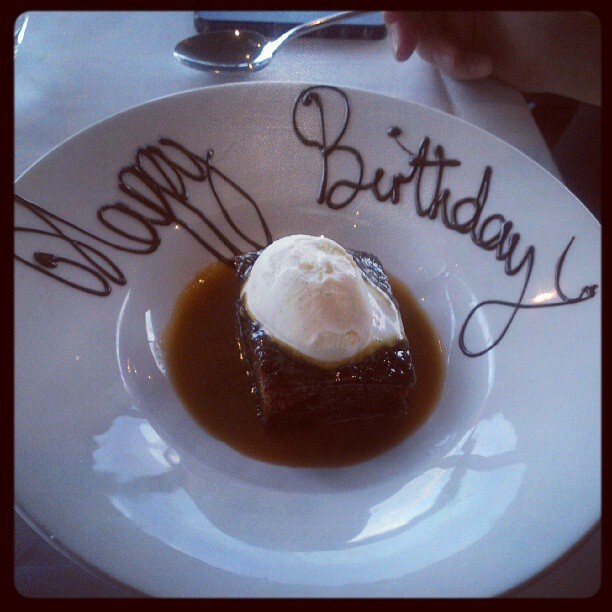 I may have mentioned that we were celebrating a Birthday as Alex’s Sticky Toffee Pudding arrived with a Birthday message. The service was really great at the restaurant and afterwards we headed to the Champagne Bar for a couple of drinks. Let me know if you have been to the Marco Pierre White Steakhouse before. If you have any restaurant recommendations for the Birmingham area, I’d really appreciate them. I’m looking to check out some new places. Simpsons in Brum is amazing!! But also pretty posh, if you want to go for nice drinks go to Gingers, which is Purnells baby! Love the dress, cant believe how cheap! That dress is pretty, can't believe the price! Gorgeous outfit, sounds like your boyfriend had a lovely birthday, you looked so lovely for it! You look absolutely stunning, what a beautiful dress, it deserves some time on the red carpet! I appreciate you taking the time to stop by and comment. May your week be a great & productive one!